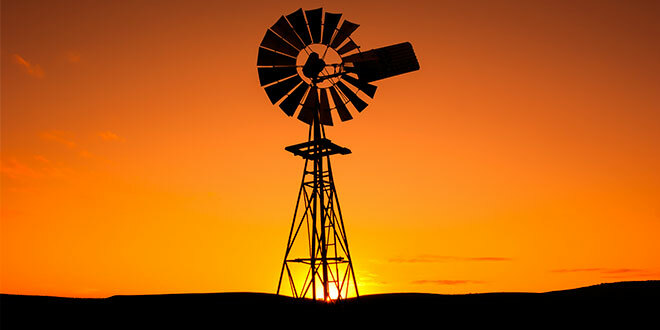 CATHOLICS in outback Queensland are praying for drought-breaking rain, as graziers are forced to sell off their cattle. “Desperate. Nothing short of desperate,” Blackall stock agent Jeremy Barron said, describing the plight of farming communities that have endured up to six failed “wet” seasons. “It’s at that stage where no one’s got an answer. Even when rain does fall, it’s rarely enough to penetrate the parched soil. “Any rain that comes gives a bit of hope,” grazier Tony Hauff said. Mr Hauff runs Colart Station – a 30,000ha family-owned property near Blackall, and is a parishioner at the town’s St Patrick’s Church, where the entire Catholic community is eagerly praying for rain. A prayer in the newsletter that covers the Central West Catholic Cluster of parishes reads: “May God open the heavens and let His mercy rain down upon our fields and mountains. “We realise what a marvel even the least drop of rain really is. We place our trust in you. Mr Barron, who also attends St Patrick’s, said he had been constantly praying for rain and was waiting for an answer. “I go to Mass every Saturday and I pray for it. I pray for it as I am driving along,” he said. “I came away from one property the other day and I said to myself, ‘If the good Lord is any sort of a man, he’d let it rain’. Mr Hauff said he was forced to make a difficult decision on Australia Day. With no substantial rain this wet season and feed running out, he sold off half his prized herefords. “We’ve sold 360 head of cattle in the last three weeks and we’ve got another 200 to sell in the next two weeks,” he said. Added to their battle to save the farm, Mr Hauff and his wife Dianne care for their 20-year-old daughter Taylor, who lives with Rett Syndrome, a rare neurological disorder that severely impacts motor skills and speech. Farm life is Taylor’s greatest joy – feeding livestock and spending time with her pets. Drought conditions for cattle families further west, on properties around Longreach and Winton, are even worse. If it doesn’t rain by the end of summer the prediction is that all cattle in the region would have to be moved out and sheep would follow in the winter. “They’re one or two steps past where we are now. They have virtually no stock left,” Mr Hauff said. He described the state of his older brother’s property: “They are down to their last 140 cows. Last decent storm he had was January 2014. Parish priest Fr Jayanthi Maddala, new to the Central West Catholic Cluster, part of the western deanery within Rockhampton diocese, said it was “terribly hard to see people suffering”. Mr Hauff said he received a call from Fr Maddala to enquire why he hadn’t attended Mass for three weeks. “I told him ‘I can’t get to town. I’ve been working nineteen days straight trying to look after my livestock’,” he said. Each week, Fr Maddala travels hundreds of kilometres to offer a pastoral word to parishioners – from Blackall he drives to Barcaldine, Jericho, Alpha, Tambo, Isisford and Emerald. “I tell them pray that the rain will come, and life will return to normal,” he said.